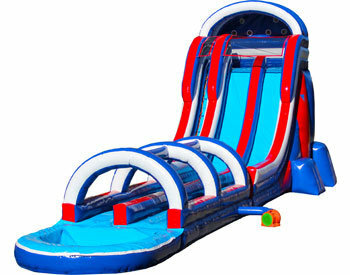 Grab your Swim suits and get ready to ride the American Dream Water Slide! This Slide is one of our Largest Dual Lane Slides. Standing at 22' feet tall this massive water slide is not for the faint of heart. 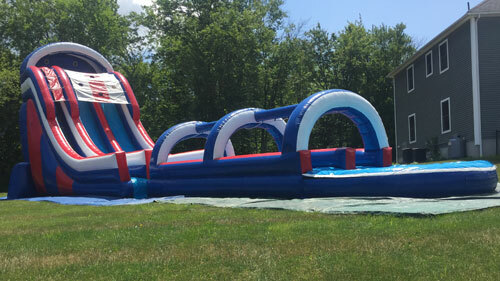 Its tall, fast, intense and one thing is for sure, no one will want to stop after they fly down the 35' slip & slide before wiping out in the inflated crash pool . It's not every day you can say you wiped out and had fun doing it, but with this slide you can!